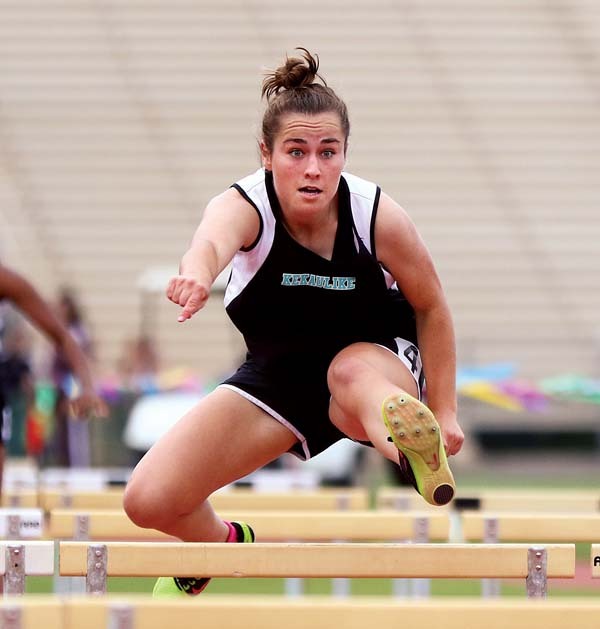 WAILUKU — Seabury Hall’s Darby Mulligan prepared for the track and field season without thinking much about how many girls would try out for the team. 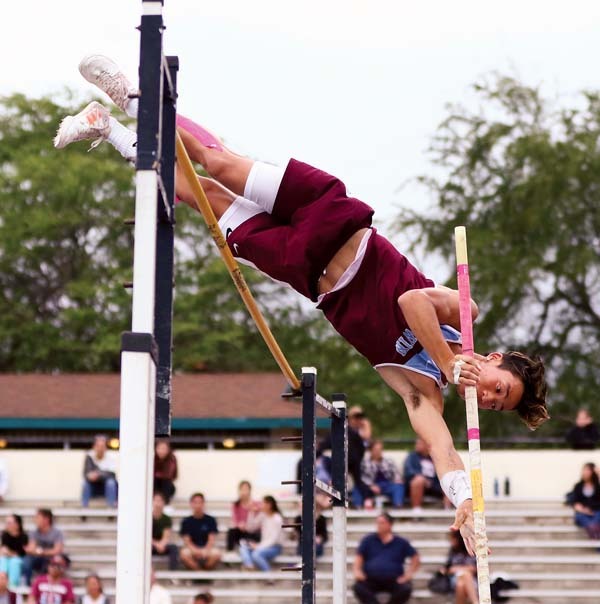 While the defending state champions are used to competing with about a dozen athletes, Mulligan was joined by 19 other teammates to kick off the Maui Interscholastic League season Friday night at the Yamamoto Track & Field Facility. Mulligan captured the Spartans’ first gold of the season with a win in the 1,500 meters, crossing in a time of 5 minutes, 31.99 seconds. 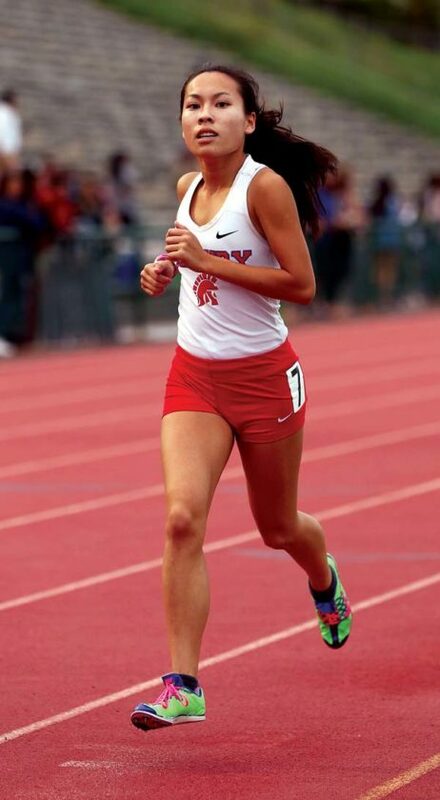 She and two-time state cross country champ Veronica Winham return to the squad as the only individual point scorers from last year’s state championship team. Spartans coach Bobby Grossman joked that his girls might only have to do three events this year rather than four thanks to the increased turnout, especially in field events. “We look really good as an MIL team right now,” Grossman said. 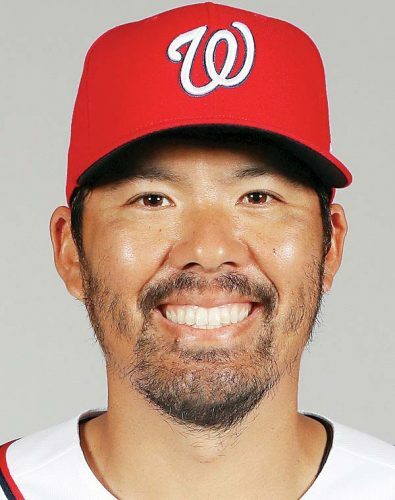 It’s not just anyone who joined the team too. Among the athletes are MIL Player of the Year honorees Erica Pilotin (Division II volleyball) and Taysia Pimentel (paddling). Grossman said the biggest issue now is finding coaches to teach the new squad. As for the small Olinda school’s chances of repeating as state champs, the team believes it has outside chance with improvement. Baldwin High School appears to again be the favorites on the boys side. 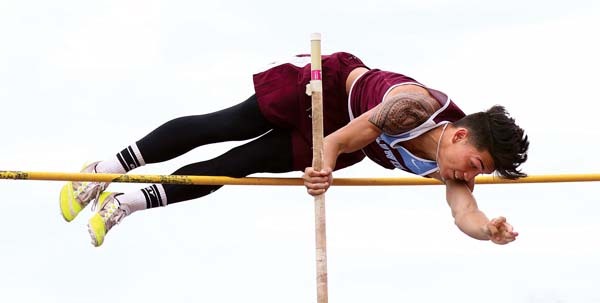 Leading the Bears, who have won 12 straight MIL team titles, are senior pole vaulters Shawn Silva and Edward Omine. The two squared off Friday night, with Silva clearing 13 feet to win the first meet. A blister between Omine’s fingers burst during his first vault, which made it difficult for him to grip the pole. Omine tried to use a liquid bandage to reduce the pain, but eventually failed to clear 13 feet. The two pole vaulters have been training together since freshman year and said they push each other every day at practice. While both have dreams of winning the MIL and state titles, they plan to continue trying to make the other person better.